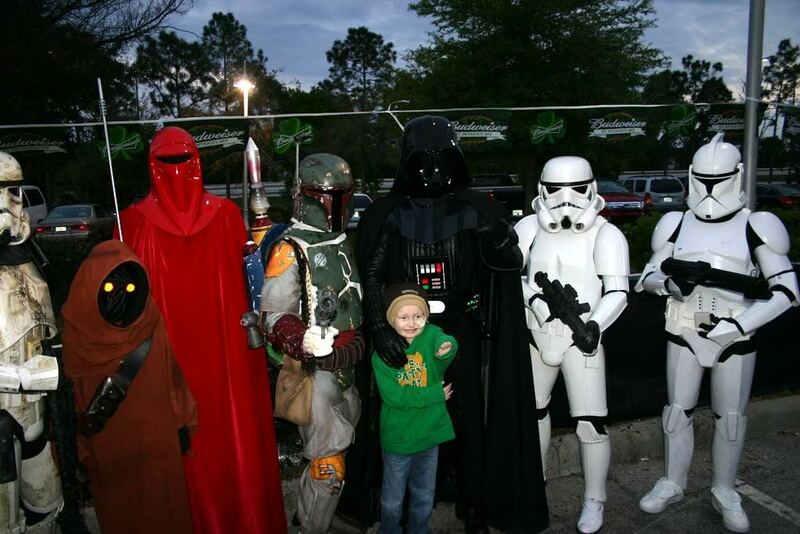 Jedi Noah Larkin was a very special boy to my 501st Legion garrison. We had the honor of helping him celebrate his birthday last year and this year, we helped honor him at this memorial service in Kissimmee, Florida. Noah was a happy little boy who was perplexed that people would not do something to the fullest. He wanted to be the next Walt Disney or George Lucas because they “just did!” His battle with brain cancer lasted from October 29th, 2009 and ended when Noah moved on to his eternal home at 4pm on May 29th, 2012. Noah’s life touched many of us in the Florida Garrison and his memory continues to live on through the foundation his parents set up in his name to help raise money and awareness for children’s brain and spinal tumors. Like many charities, Noah’s Light Foundation needs a boost. Chase is currently giving away $5 million in grants to charity through voting on their Facebook page. It just so happens that voting ends on what would have been Noah’s ninth birthday. Personally, I can’t think of a better birthday present for such an inspiring and loved little boy. Help me honor this little boy and his short (but very much loved) life by voting for Noah’s Light Foundation. May the Force be with Noah and all those who were blessed to know him.